Venerable Prim Huon is being arrested on Friday in Samraong City, photo posted to his Facebook account. Four activist monks were arrested after attending an opposition rally in Oddar Meanchey province on Friday, with police confiscating their mobile phones and deleting videos and photographs taken during the event, one monk said, though the account was disputed by authorities. Luon Sovath, a prominent activist monk known for regularly livestreaming events on his Facebook page, said police started harassing opposition supporters after they left a Samraong City rally attended by CNRP President Kem Sokha on Friday morning. 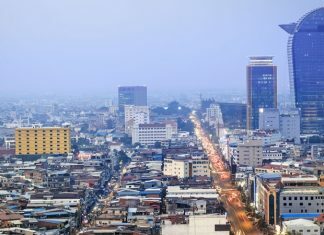 “After people were going back to their homes…about 1 km away, the police stopped people and asked them where they want to go and where they had come from,” he said later that day. 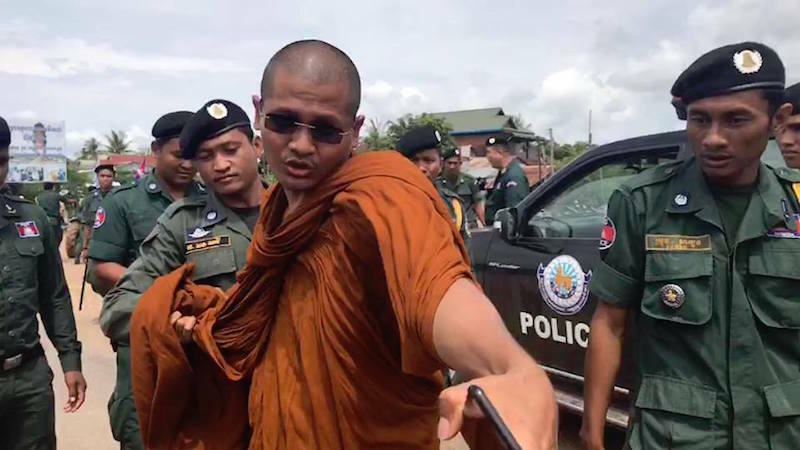 A police chief ordered the monks’ arrests and that their phones be confiscated, with police saying that another well-known activist monk, Prim Huon, had been “spreading lies” about the intimidation of opposition supporters at the rally in a Facebook livestream, he said. Hours later, after agreeing to delete the videos and thumbprinting a document agreeing not to post similar material, the monks were allowed to leave with their phones, Luon Sovath said. Shortly after, Prim Huon posted a video to his Facebook of himself being detained, which Luon Sovath swiftly shared. Contacted on Sunday, provincial police chief Men Ly denied the monks’ story. CNRP supporters had willingly dispersed after police stopped an unscheduled and therefore illegal march, he said. 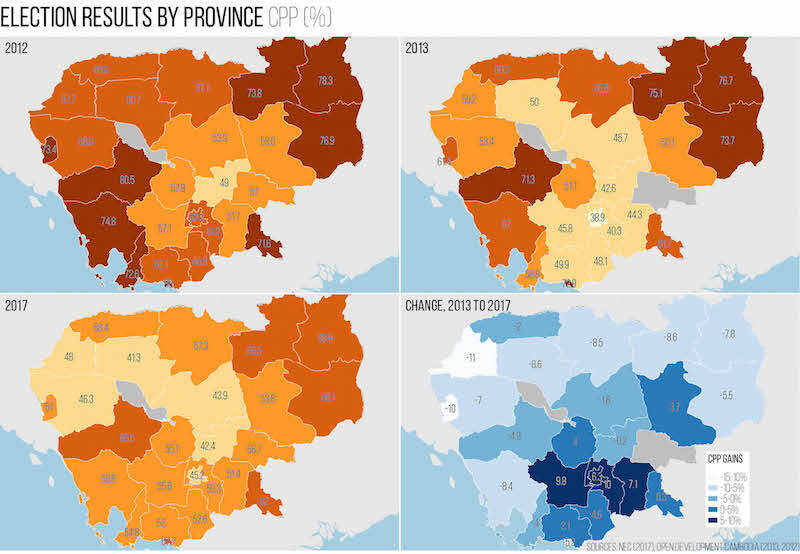 “The CNRP did not argue and they knew they were wrong so they dispersed, but the monks twisted [the actions of] our authorities,” he said, adding that he had no plans to pursue the issue further. Provincial election committee chief Chinh Samphour said the monks had willingly deleted the materials on their phones after a calm negotiation. 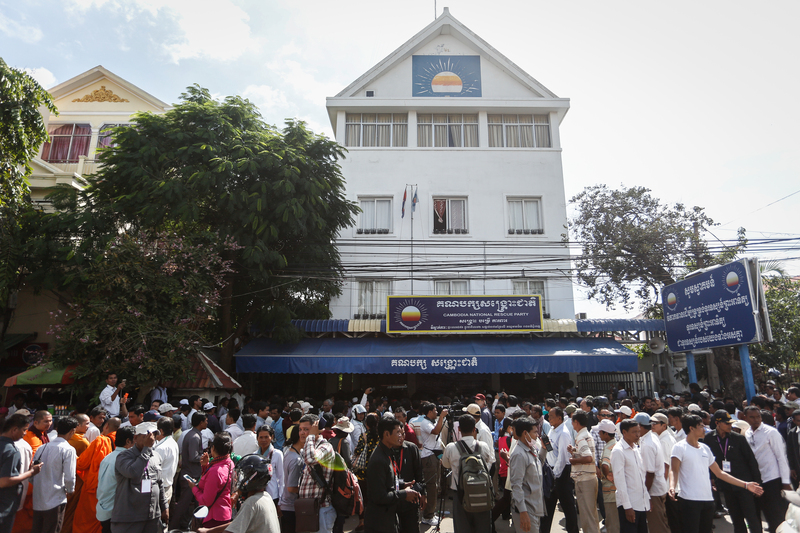 “There were no CNRP activists mistreated. The monks just exaggerated,” he said. 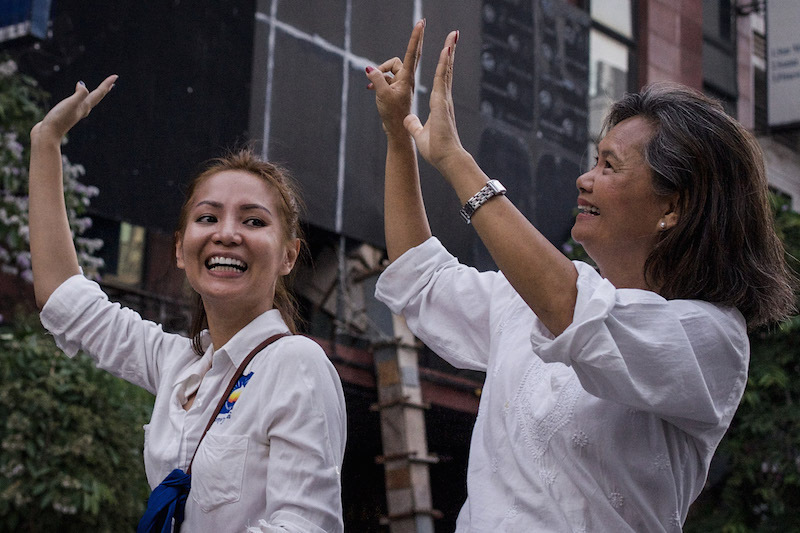 But prior to the monk arrests, efforts had been made by officials and CPP supporters to disrupt the opposition rally, said Kem Monovithya, Mr. Sokha’s daughter and the CNRP’s deputy public affairs director. “CPP blasted music on loud speakers close to where we held our meeting. We filed [a] complaint, eventually they stopped after our meeting was also over,” she said in an email.